Burberry learned from historic mistakes how to protect its premium positioning - other brands, like Rapha, must follow its example or suffer the consequences, writes Direct Line Group's head of brand and marketing planning. If you want to see a truly unpleasant sight, turn up to a coffee shop in Richmond Park at 7am on any Saturday morning. You’ll see a hundred or so almost, but not quite, toned torsos. Each vacuum-packed into Lycra. And you’ll hear the anticipation of fully-grown adults playing make-believe that they are Bradley Wiggins and that London’s famous deer sanctuary is their own personal velodrome. It’s not surprising that there’s a brand war to capture the hearts (and wallets) of this highly homogenised group. They divert large amounts of disposable income to their habit, often spending thousands on their bikes. They are image conscious. And they’ll think nothing of spending a hundred quid on a jersey. Or a posh vest in layman’s terms. And the king of trendy cycling kit is Rapha. Its beautifully tailored range has become de rigueur for anyone who wants to infiltrate the world of bicycles. Chief executive Simon Mottram says he was spurred on by the ugly and uncomfortable clothing that cyclists were forced to wear before he launched the company in 2004. And he undoubtedly succeeded. Rapha has been a major catalyst in rescuing the sport from exclusive ownership of pot-bellied beardy-weirdy sandal wearers. Its clothes work brilliantly. And just as importantly, they make their wearers feel that they belong in the 7am London park club. Lately though, something has changed. The curling script logo that discreetly confirms the gorgeously tailored gear is indeed Rapha has a rival. In the form of shorts with huge block capitals screaming "RAPHA" from the side of riders’ thighs. Or casual T-shirts with full-chest logos for brand advocates to wear when off the bike. It’s the amateur sports equivalent of Daniel Craig having an identity crisis and turning up to a film set dressed as Timmy Mallett. Which brings me on to last week’s kerfuffle about Burberry burning excess stock. Dave Trott brilliantly summed up the story of how Angela Ahrendts saved Burberry from itself in One Plus One Equals Three. She bought back every single third-party licence for its famous tartan, and in so doing, stopped people outside the premium clothing world from appropriating it for themselves. There are some thorny social questions here, but it’s unarguable that it made brilliant business sense to wrestle back control of the brand. Burberry paid a heavy price once before when it forgot that a premium brand needs to jealously guard that premium. It needs to protect the thing that makes its users feel like they are part of an exclusive club. A million miles from the world of Burberry, two of the brands that are most likely to be requested in a tattoo parlour are Harley-Davidson and Nike. This is more than skin-deep: this is literal permanent branding. Because each of them defines a lifestyle tribe that their wearers want to join. The mere whiff of Harley-Davidson has the power to invite the mildest mannered of accountants into a world fuelled by adventure and the open road. And presumably ZZ Top beards and leather jackets. An association with Nike can transform an amateur athlete’s self-belief, mentally transporting them from their local park to an Olympic stadium. This is where Burberry has arguably got it right and Rapha is in danger of going horribly wrong. Sure, it could have done something socially good with the clothing, rather than destroying the stock in such an un-environmentally friendly way. 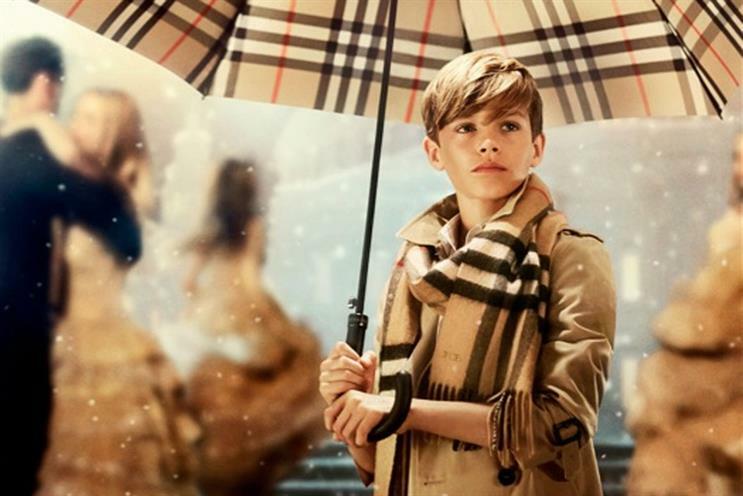 But the unpalatable truth is that for many of the consumers who pay the premium that makes Burberry a successful business, how they dispose of stock isn’t key to their support of the brand. Rapha, on the other hand, looks dangerously close to forgetting why its dedicated fans love it in the first place. Emblazoning the brand on T-shirts or block capital printing it in letters that can be seen from space could easily start to subtly change the nature of the brand tribe. Rapha’s dream is "to make cycling the most popular sport in the world". And it’s been hugely successful, by brilliantly enticing people into a world of mystique that rewards exploration and effort with being a part of something bigger. But if it loses that mystique and lets anyone join the amateur peloton, then it won’t grow the sport by creating an audience of devotees who are buying into a lifestyle. It’ll make it easy for transient hobbyists to have a quick go. Before they put their £3,000 carbon framed bikes on eBay and put the proceeds towards their first set of top-end golf clubs.